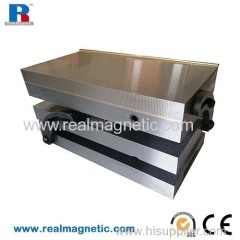 Double way sine plate; can grind two way angle at the same time. Suitable for high precision angle grinding on a mould grinding machine and so on. Wide range of work pieces can be used by tilting in length, breath or compound angle.